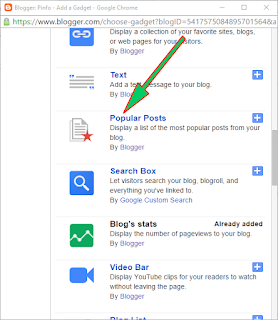 Technically speaking, there is not Gadget in Blogger that is offered by Blogspot which is titled Trending Post. But the fact is, if you are to wait for official gadget before you can implement features to your blog, then there are many things your blogspot blog will be missing. But we do not advice you to turn to unofficial Gadget. The truth is, there is an official Gadget from Blogger that you can use when you want to create a Trending list of your post. But the Gadget was not named by Blogger as Trending Post, rather, they named it as Popular Post. 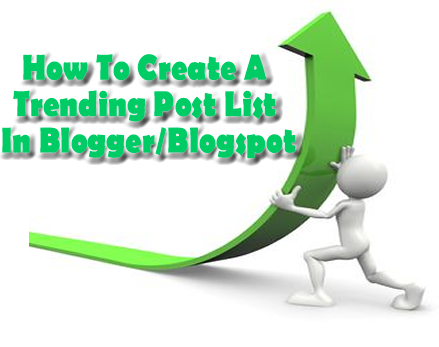 As the name implies, Trending post are mostly created with the intent of helping visitors see other posts which are popular or which other visitors to your blog read more often, and that is exactly what the Popular Post Gadget from Blogger is about. So follow the guide below to learn how manipulate this gadget so that visitors will not be seeing the list from this gadget as Popular Post, but rather as List of Trending Post. 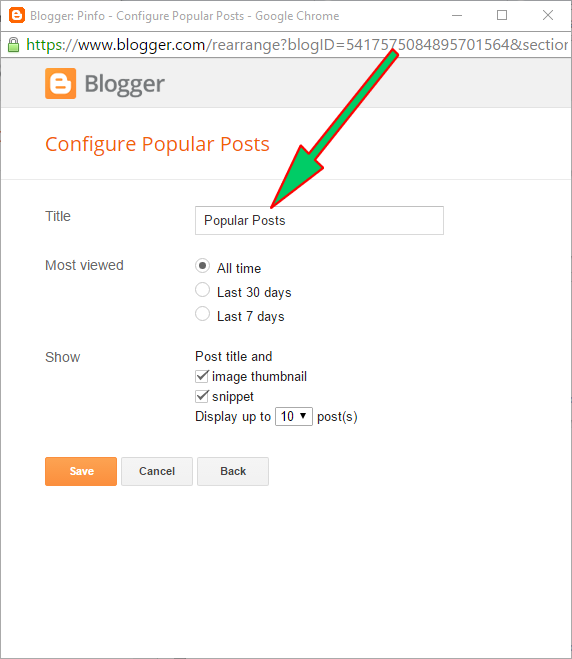 From the blog's dashboard you want it to appear, click Layout in the left navigation menu. 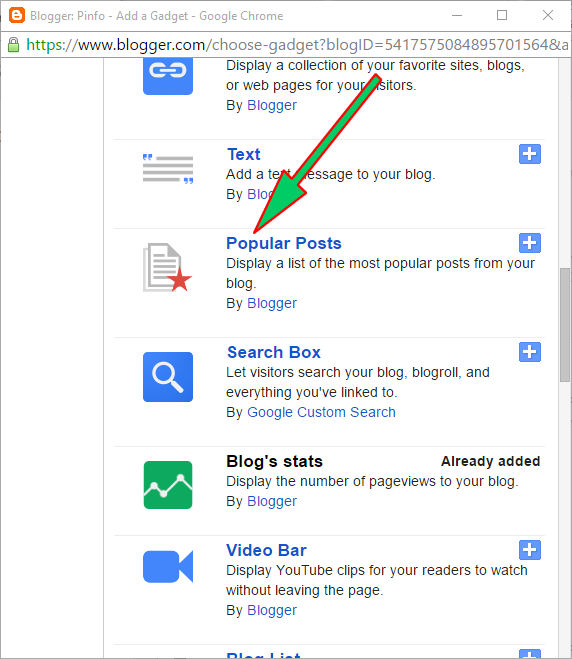 Click Add Gadget in the section of the blog you want it to appear. In the list of official Gadget provided by Blogger, scroll down to select Popular Post. Change the Gadget title from Popular Post To Trending Post, and click Save after have finished editing the settings of the Gadget. You are all set. You can view your blog to confirm. As you may noticed when editing the settings of the Gadget, the downside is that the list can only be maximally ten. But the upside is, you will have a Trending Post list in your blog that keeps updating itself based on how popular post in your blog becomes during the set duration you specify. Join our newsletter for more relating article from us.